For this Remodel we made custom fit cabinet doors built in the shop. We have a high end finish sprayer to give the cabinet doors a flawless finish. 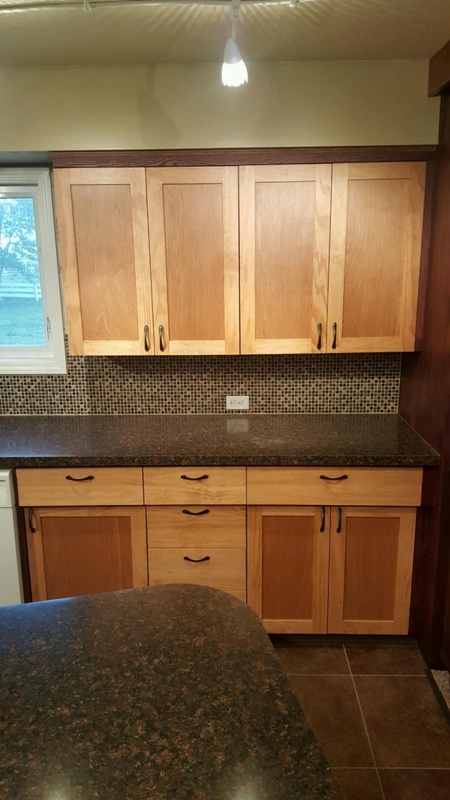 We covered all existing cabinets with Oak Veneer. 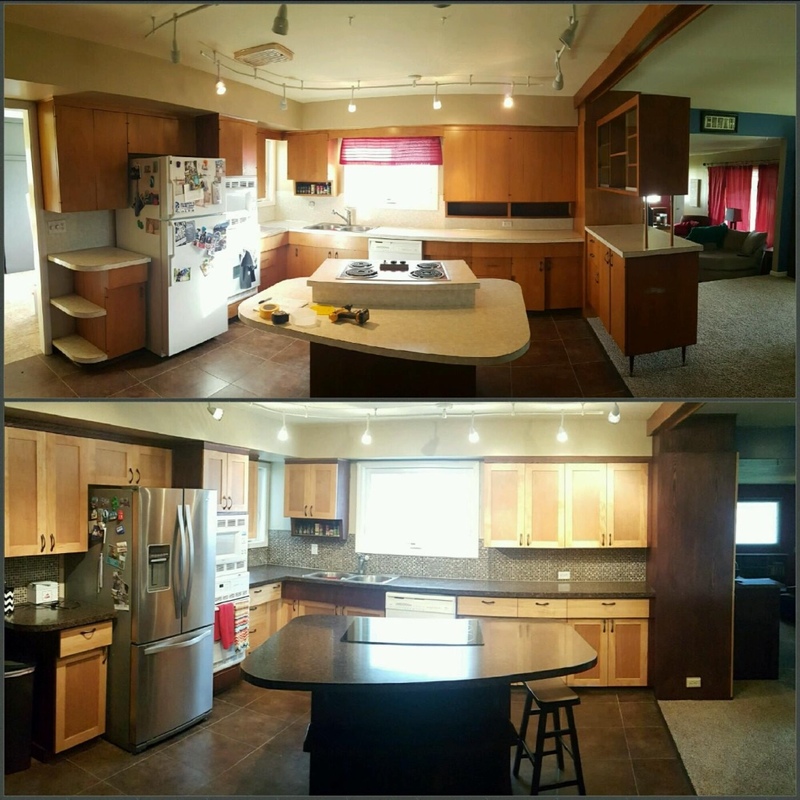 This helped us to cut down on the cost while still giving the kitchen an entirely new look. We also installed new countertops with a custom mosaic tile backsplash.